In every corner of the globe tonight, our nighttime sky shines brighter than it did less than 10 years ago with potentially serious consequences to humans, animals and ecosystem. Plants, animals and humans developed with an internal clock — the circadian rhythm. It&apos;s a 24-hour cycle that affects physiological, biochemical and behavioral processes in almost all organisms. Civilization brought with it artificial light to homes in every village, town and city across the world, and as more buildings and factories came online, industrialization increased and the population continued to expand, our nighttime sky looked a lot like the day, changing our deep, dark sleep patterns and altering that 24-hour internal timekeeper. With that, all living creatures&apos; lives changed in ways only now becoming clear to us. To understand light pollution, it&apos;s important to know there are two different types: First, there is astronomical light pollution that obscures the view of the night sky, and the second kind is ecological light pollution, which alters natural light systems in terrestrial and aquatic ecosystems. Twenty years later, it was discovered that artificial coastal lighting in Florida was disorienting and disrupting the rhythm of sea turtles that bury their eggs in the sand. When the eggs hatch, the hatchlings must go toward the water and beachside nests for their survival, but the babies were being distracted by the light and diverted from their natural course, often ending up facing dehydration, being eaten by predators or even wandering along the highway. As more animals encountered night lighting, it became evident that while night light might benefit people, it wasn&apos;t helping wildlife. Light pollution has had disastrous effects on migrating birds, resulting in millions dying each year, and that figure increases with the combination of outdoor light and fog. Birds use the light at the horizon to migrate at night. When the birds see a brightly lit building, they become confused and fly around and around — in essence becoming trapped in the light — eventually dropping dead from exhaustion. The term photopollution — artificial light that has adverse effects on wildlife — was coined in a watershed paper by Dutch ecologist F.J. Verheijen in 1985. In the paper, Verheijen says that many nocturnally active animals need a natural light field between sunset and sunrise as a requirement for survival. 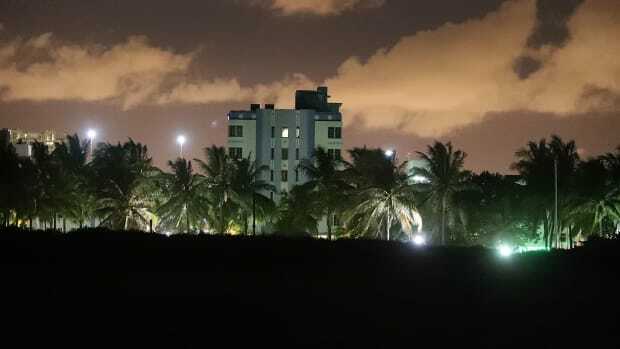 "When we think about the night and the extent of light pollution in the last 20 years, it&apos;s growing far faster than the human population and has changed the environment significantly," explained Longcore. But light pollution&apos;s harmful effects aren&apos;t restricted to animals. "Women who work at night, change shifts often or don&apos;t get proper sleep at night suppress their melatonin production and have higher rates of breast cancer," explained Dr. Mario Motta, president of the Massachusetts Medical Society and associate at the North Shore Cardiovascular Associates. "It&apos;s a fact. The exact cause is speculative, but we think it&apos;s because of the changes in the melatonin production due to disruption of their circadian rhythm." Disrupting the circadian rhythm can cause insomnia, depression and increase the risk of cancer and cardiovascular disease. Fallout from the disruption of your circadian rhythm can be harsh medicine to swallow, but so can simply living in the glare of the night&apos;s lights. Straining to see at night in the face of glare from oncoming traffic or streetlights that shine over the landscape can be irritating and uncomfortable, but it also can be dangerous. "If I shined a light on your eyes in a dark room you wouldn&apos;t be able to see the rest of the room," Motta observed. "Every time you pass a bright light on the highway or the street your pupils constrict," causing decreased nighttime visibility. Adults between the ages of 40 to 50 start to notice glare more, when the lens of the human eye begins to harden and calcify. Cataracts may develop, which can exacerbate the glare, and require surgery to remove. Citing energy efficiency and glare reduction, the American Medical Association in June officially approved a resolution advocating light pollution control. Dr. Motto introduced the resolution saying, "This is just what the doctor ordered." "The one thing most responsible for our nighttime sky looking like the middle of the day is there&apos;s an unwarranted volume of streetlights that aren&apos;t necessary for our safety," said Leo Smith, the northeast regional director of the International Dark-Sky Association, a nonprofit focused on preserving the night sky through smarter outdoor lighting. "In many cases, we don&apos;t need streetlights, but streetlight manufacturers are pushing their products." "In Connecticut," said Smith, a member of the Illuminating Engineering Society of North America and a roadway lighting committee member in Suffield, "we have sections where the road is 30 miles long and is continually illuminated. There&apos;s a tremendous amount of energy loss from unneeded streetlights and ones that don&apos;t need to be on when there&apos;s no traffic." In comparison, Interstate 20 in Atlanta has no overhead roadway lights outside the beltway, with five lanes of traffic in each direction, but it does have is a 4-foot median barrier that blocks the glare from oncoming headlights. When it comes to dusk-to-dawn outdoor lighting, one solution that&apos;s been offered is to light streets only until 10 p.m. After that time, programmable photocell lights would turn off. Also, it is suggested that private residences use only fully shielded lighting fixtures for porches or driveways. Smith also pointed to a solution that helps those migrating birds: "Eventually, we will have motion-sensor controls, so when you&apos;re in the building and using it, lights will be on and when the building isn&apos;t in use, the lights will be off." He estimates that more than 100 cities in the United States have ordinances on the books regarding outdoor lighting. One such a town is Stowe, Vt. The Stowe City Council passed standards for outdoor lighting in 1998. The regulations require outdoor lighting be cutoff fixtures, as they direct light downward where it is needed, not sideways or upward. "We do have height restrictions of 16 feet for parking lot lighting," said Stowe Zoning Director Rich Baker, "and we don&apos;t allow sodium vapor lights or internally illuminated signage. "This is a tourist area. People come here for outdoor recreation and for the aesthetics. We needed to cut down bright outside lighting." New on the energy horizon and ready to take the bite out of squandered light is the federal government&apos;s new planned matrix for Energy Star qualification or fitted target efficiency. The old Energy Star qualification system factored how much energy would you get out of a light bulb. Soon, it will factor how much energy is going to the target, reducing squandered light energy. The Dark-Sky Association estimates that wasted light squanders the equivalent of 32 million barrels of oil or 9 million tons of coal each year in the United States alone. Some other industrialized nations might point the way toward improvement: Longcore said much of Europe is ahead of the U.S. on confronting this issue, particularly the Czech Republic, which has a nationwide light pollution law on the books. 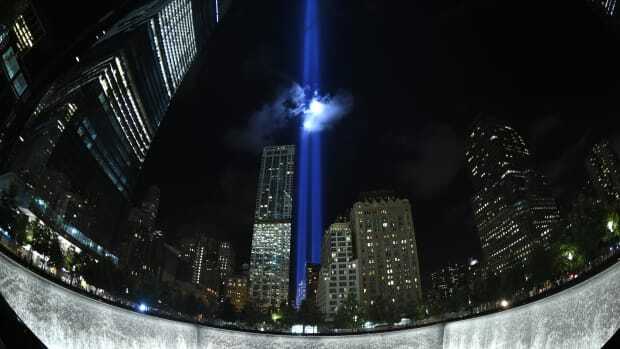 "Lighting the night is a purely manmade condition," Motta says. "We can&apos;t do anything about the sun, but we can do something about the nighttime lighting situation." Of all the complex environmental problems that so desperately need our attention and a solution, light pollution is the most easily remedied. GLOBE at Night invites the world to measure light pollution. 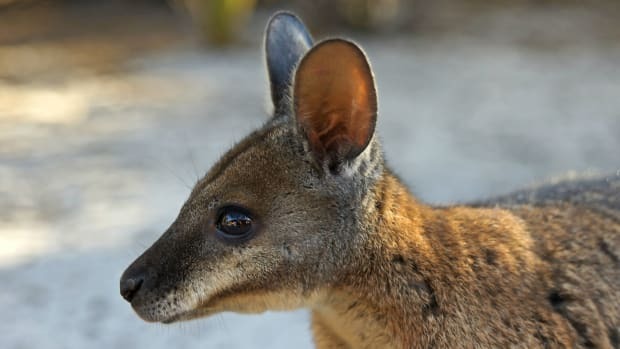 Night lights from Australia's largest naval base muddles critical signals that the country's tammar wallabies need to re-produce.